Jim Gottlieb is Of Counsel with Chuhak & Tecson and co-chairs the secured lending and creditors' rights practice of the firm. 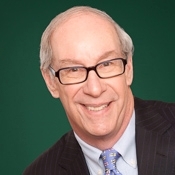 Jim has more than 40 years of experience representing banks and commercial finance companies, including eight years serving as in-house counsel at two major financial institutions. Jim has extensive experience in structuring loan transactions, negotiating and drafting loan and collateral documents, and assisting lenders, borrowers and others, including assignees/trustees, receivers and businesses in workouts, bankruptcy and other creditors' rights matters. He also served as a member of the firm's Finance Committee.